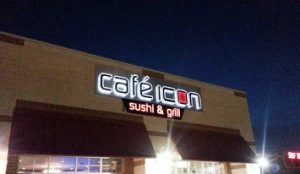 Lighted signs are the best way to get your business noticed and great custom-made signs will outshine the competition. Lighted signs come in a variety of types and materials that make them an attractive, strong, weather-resistant, and affordable way to advertise your brand or service. Lighted signs allow your outdoor signs to work for you even when the sun goes down. If you have questions regarding the right type of custom sign for your purposes, Made 2 Measure Signworks has all the answers. 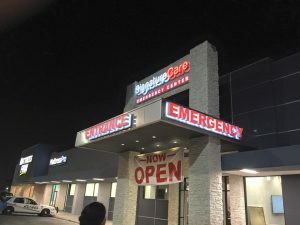 While some lighted signs like directional signs are common to many businesses, custom-made signs can be designed and manufactured to represent your unique business style and brand. If you are looking for illuminated storefront signs, lobby signs, roadside signage, or interior signs, Made 2 Measure Signworks is your local provider for all promotional and identification signage requirements. Superior lighted signs begin with superior lighted signage materials like acrylic plastics for custom panels. Quality materials that are strong and durable are essential for long-lasting lighted signage. It also allows for less LED and other light sources inside a sign cabinet which reduces your production and operating costs. For outdoor lighted signs, it also provides excellent UV resistance. Call Made 2 Measure Signworks today at (647) 699-7654 for a Free Consultation with a Lighted Sign Specialist! Modern lighted signs give the appearance of a traditional neon sign without the maintenance and repair costs that these types of signs typically require. 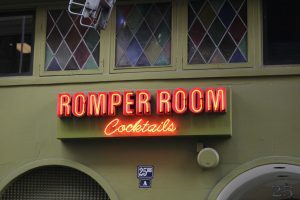 LED lighted signs have the visual appeal of a neon sign but have a longer lifespan and are less expensive to maintain. Large, small, or somewhere in-between, LED lighted signs can give your company the look of success it deserves. LED lighted signs are particularly suitable for businesses that operate during the evening hours or stay open late, for example, gas stations, restaurants, theaters, hotels, nightclubs, and convenience stores. They can be custom made in a wide variety of styles, colors, and animation options to fit your specific business signage requirements. Our lighted sign experts can provide you with the perfect custom sign on time and within a budget that will work for you and your business. In addition to outdoor signs, smaller light boxes used indoors can provide you with a different way of presenting your business or bringing across your message to customers. Graphics are easy to change, making your signage consistent while offering varied information. Sign art provides a complete solution for all your electronic sign requirements including Neon, LED, Sign Cabinets, Back-lit Channel Letters, and many more. 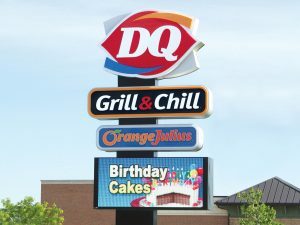 LED Message Centers provide you with the opportunity to add custom messages to other signs such as your storefront sign, or to use them on their own. These impressive programmable lighted signs provide eye-catching full-color graphics that can be updated at any time. 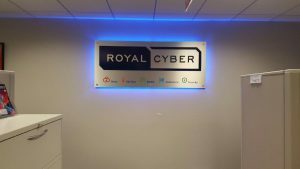 LED lighted signs can be custom created to promote any aspect of your business and our skilled signage designers are ready to help your turn any ideas you have into reality. From initial design to final installation, we are able to guide and assist you through every aspect of the production process. 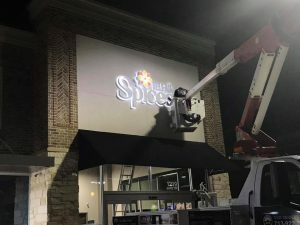 When working with Made 2 Measure Signworks to create the perfect lighted sign for your business, you will have the confidence of the experience and expertise of a quality design company backing your decision. As a complete one-stop design shop, we have all the equipment, staff, experience, and expertise to fulfill all your business signage needs. Whether you need exterior lighted signs, trade show displays, vehicle wraps, lobby signs, or any other signage requirements, we have what it takes to deliver the best. Custom lighted signs by Made 2 Measure Signworks will help you outshine the competition. Call Made 2 Measure Signworks today at (647) 699-7654 for a Free Consultation with a Neon Sign Specialist! His team has been nothing but a great experience! They always make it work.